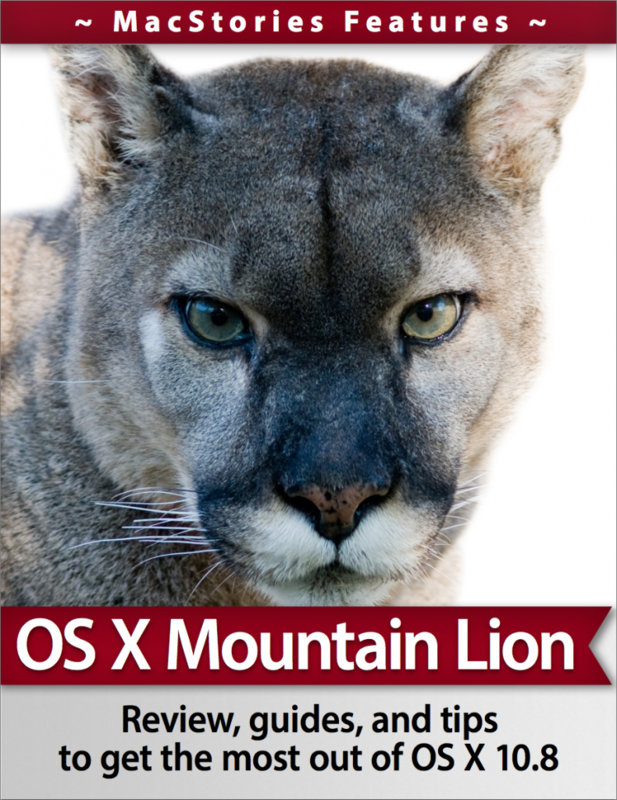 MacStories is pleased to announce their first eBook, MacStories Features: OS X Mountain Lion, for $6.99. With a detailed review of Mountain Lion, numerous sections covering its new apps and features in depth, and 30% of its proceeds going to the American Cancer Society, MacStories Features: OS X Mountain Lion is a great way to learn about Mountain Lion, support MacStories, and fight cancer all at once. We’ve put a lot of effort into this book: it contains exclusive guides for preparing your Mac for Mountain Lion, walks you through every aspect of the install process, and contains great tips and tricks you won’t find anywhere else. Every inch of its over 120 pages is custom-designed and optimized for Retina displays, presenting its content in a beautiful, easy-to-read format. You can download MacStories Features: OS X Mountain Lion here.